So, it all starts with +R.J. 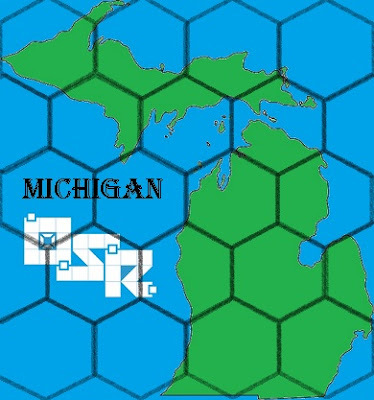 Thompson and his amazing drive to get more OSR gaming attention here in the great state of Michigan. 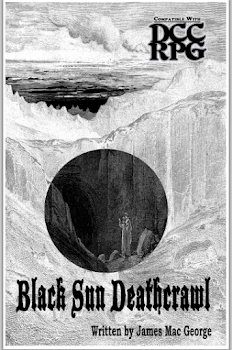 Here in Washtenaw County, for example, the only slice of the OSR that I can find that I'm not directly involved in is a small shelf at the Vault of Midnight in Ann Arbor where +Jason Hobbs and I found a few copies of the LotFP Grindhouse boxed set and a few other OSR goodies. So +R.J. 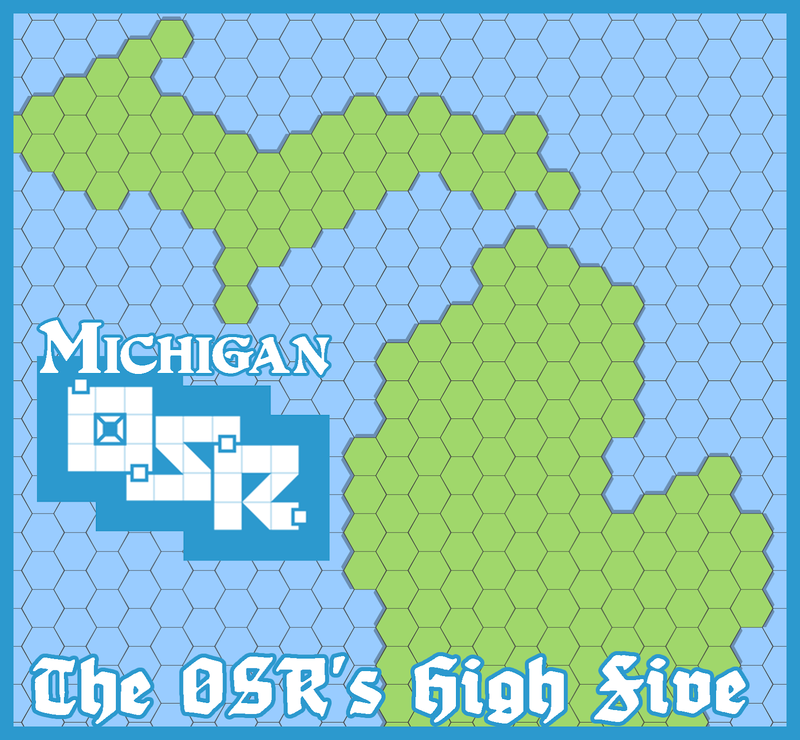 Thompson (of Gamers & Grognards fame) came up with this awesome logo for the OSR here in Michigan. Well, I looked at that and thought "Hmm... what if we?" And set about tweaking it. Here's what I've come up with. Michigan OSR Logo #2 by Adam Muszkiewicz is licensed under a Creative Commons Attribution 3.0 Unported License. Based on a work by Stuart Robertson athttp://strangemagic.robertsongames.com/2011/04/yeah-new-osr-logo.html. Permissions beyond the scope of this license may be available at Strange Magic: http://strangemagic.robertsongames.com/2011/04/yeah-new-osr-logo.html.